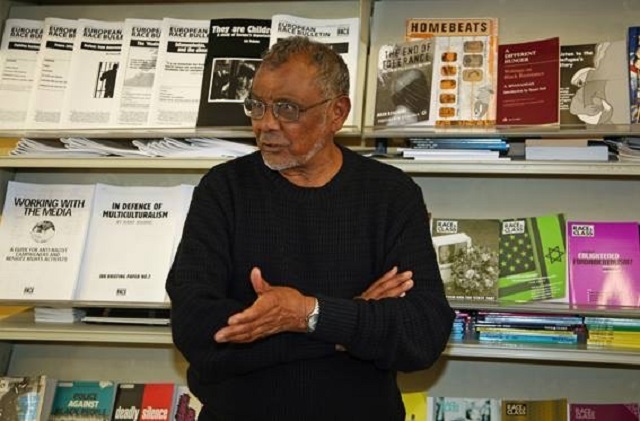 Ambalavener Sivanandan, a former bank manager and then librarian who became an award-winning novelist and one of Britain’s foremost political thinkers on race, will be honored this Saturday at London’s Red Lion Square. 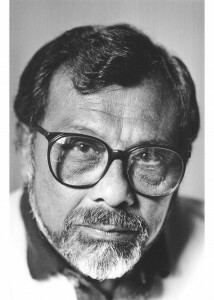 Sivanandan died on January 3; he was 94. To register for a celebration of Sivanandan’s legacy, click here. Widely known as Siva, Sivanandan was a man who meshed several traditions – art, academics and policy – often using the pages of the journal Race & Class as his megaphone. Saturday’s celebration, titled “The Heart is Where the Battle Is,” reflects those varied parts. The event will feature reflections by artists such as poet Linton Kwesi-Johnson and playwright David Edgar; advocates such as Suresh Grover of The Monitoring Group, Colin Precod and Liz Fekete, chair and director respectively of the Institute of Race Relations; and journalist Gary Younge of The Guardian. But that love — later manifested in his suite of memorable aphorisms — initially took a back seat to more prosaic concerns, and Sivanandan took a degree in economics at the University of Colombo and started work at the Bank of Ceylon, becoming one of the institution’s first bank managers actually from the island. That period came to an end as anti-Tamil rioting in Ceylon (it was renamed Sri Lanka in 10972) led Sivanandan in 1958 to relocate to Britain – and smack into anti-black rioting in the London suburb of Notting Hill. In fact, difficulty in finding a job in banking led him to train as a librarian. He served in several institutions, including the Colonial Office, before he accepted a position as chief librarian at the Institute of Race Relations (IRR) in 1964. It was at IRR that Sivandanan gained global prominence, especially after a bitter internal dispute, which he in part led, boiled over into a dramatic restructuring of the institute in 1973. Gone were wealthy donors and a focus on race relations; present now was “a think-in-order-to-do-tank for Black and Third World peoples.” Sivandanan was named the ‘new’ IRR’s director, a position he held until 2013. It remains a cutting edge think tank but positions itself between academia and the grassroots. It does not misplace itself in community affairs but provides the ammunition for groups on the ground to conduct their own campaigns against racism. Whereas other NGOs might seek to speak to and influence power-brokers directly, the IRR chooses to ‘speak from’. It takes its cue from the most discriminated against in society and attempts to tackle those issues and subjects where racism is at its most harsh and intractable, and is at pains to present its research findings in an accessible way – ‘the people we are writing for are the people we are fighting for’. The next year, 1974, he became editor of the institute’s journal Race. It was Siva who renamed Race, the IRR’s journal, Race & Class. It became a leading voice for radical race politics, with writers such as John Berger, Angela Davis and Noam Chomsky. 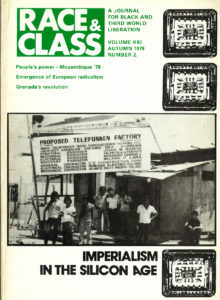 His own groundbreaking essays for the journal included The ‘Liberation of the Black Intellectual’ (1974), ‘Race, Class and the State’ (1977) and ‘From Resistance to Rebellion’ (1981), all of which, in different emphases, provided an analytical narrative of the history of black British struggles. Many of the tributes and appreciations put up about Siva since his death highlight the fact that in his lifetime he was rather ignored by the intelligentsia (including the left intelligentsia) and that the establishment, including the academic establishment, might prefer to forget him! Siva was an “intervener.” a “disrupter” — his writing paid no respect to academic boundaries. But this does not mean Siva did not value scholarship. 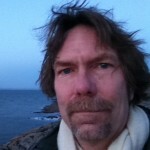 On the contrary, he valued scholarship hugely, only he believed, that we should “think in order to do” and that the “purpose of knowledge is to liberate.” That kind of engagement and commitment and passion is very hard for academics to live up to, particularly in the current university climate, I understand if his example appears daunting! But this kind of example is what made Race & Class, the journal he established, so vitally important throughout the decades, and also today. There are a huge amount of very genuine ‘scholar-activists’ (that was Siva’s preferred term) out there – they want to write scholarly, but they want their knowledge to benefit the most vulnerable in society. Over the years, they find Race & Class, and we find them! Race & Class has always been relevant to the academy in the sense that it holds up a mirror to it while providing a home for its best scholars. 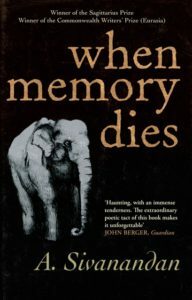 In 1997, Sivanandan’s novel When Memory Dies , came out. The work, which looks at three geenrations of a family torn by Sri Lanka’s history of colonialism and ethnic strife, won the Sagittarius Prize and was shortlisted for the Commonwealth Writers’ Prize in the category of Best First Book for Europe and South Asia. His coinage of the term xeno-racism acutely exposes the self-serving belief that Europe’s formidable hostility to the impoverished migrant workers on which so much of its basic prosperity depends is but a system of belief and practice aimed at locking down, and locking in, the needy and the desperate. And the war on terror has spawned a new anti-Muslim racism, where minarets mark out the enemy within; a racism, as enacted by governments, that has proved an enemy to freedom of thought, freedom of movement, freedom of conscience, transparency of judicial process and rights to civil liberty. This entry was posted in Career, Impact, Interdisciplinarity and tagged Ambalavaner Sivanandan, Passings, Race & Class. Bookmark the permalink. Post a comment or leave a trackback: Trackback URL.